From The BlogHome The Blog Product Sighting On the Hunt for Paisley? Are you searching for the perfect paisley pattern? At Pattern Observer Studio we specialize in creating custom patterns that will wow your customers and meet your unique production needs. We love working with brands both large and small, and seeing the process through from initial inspiration to a production-ready pattern. 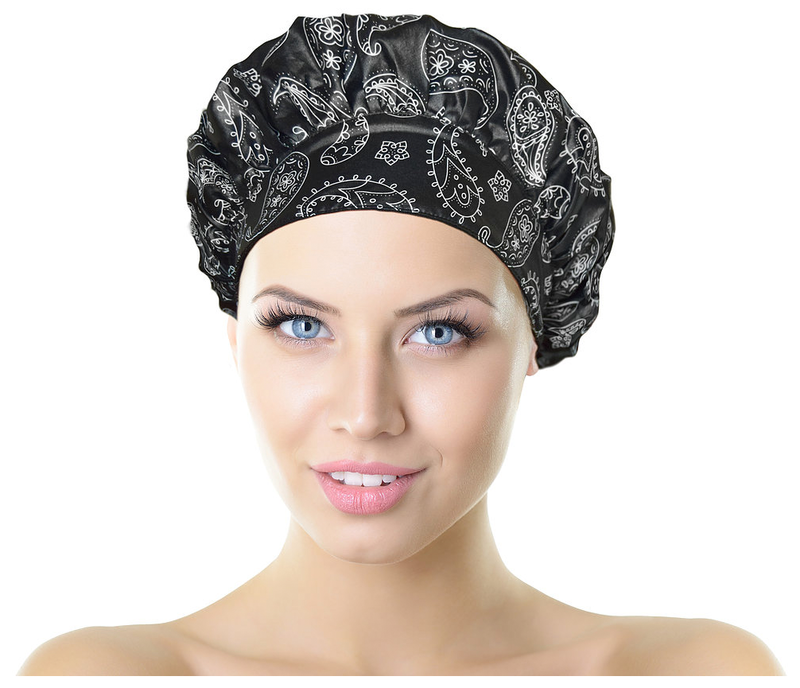 We recently had the pleasure of developing this black and white paisley for TIARA Shower Cap, which makes beautiful eco-friendly shower caps from recycled plastic bottles. What a fun project!! Ready to get started on a custom pattern of your own? Please reach out to michelle@patternobserver.com!